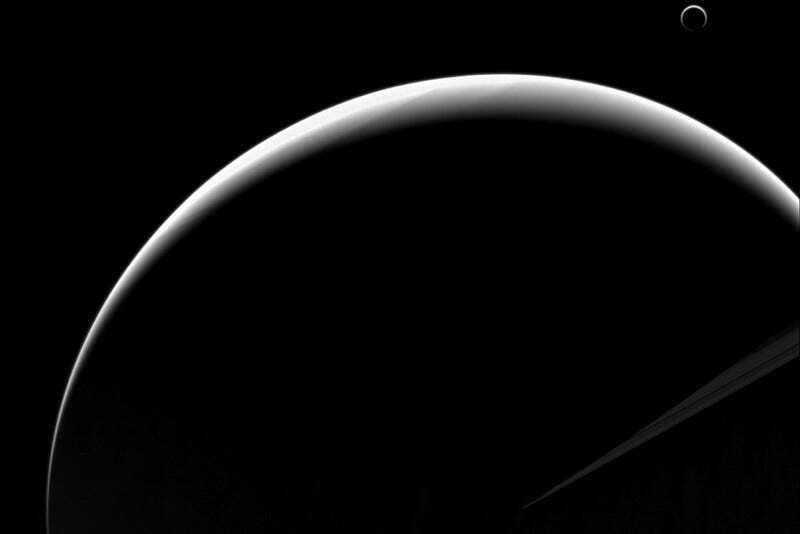 Crescent Saturn and its crescent moon. Crescent Saturn and its crescent moon. This has to be one of the most beautiful pairs of heavenly bodies we're lucky to see, thanks to the Cassini spacecraft.